The Ontario County Humane Society investigated an alleged incident involving a 4-year-old male, Pit-bull, named Blade, who was reported to be locked in a shed for at least two days in Farmington. Neighbors said the dog could be heard whining and barking at the Third Street residence. 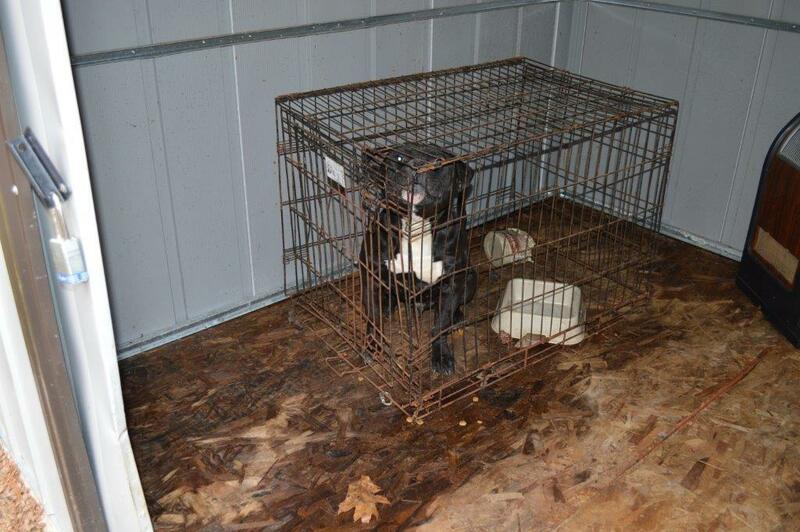 Authorities say the investigation revealed that Blade was locked in the shed without food or water. They say it also showed he was inside a wire metal shed without any bottom, bedding or other insulation. Investigators say there was little ventilation in this area and it was filled with urine and feces that Blade was standing in. The temperature inside the shed was 37 degrees. The dog’s owner, Marcos F. Perez, was charged with Failure to Provide Sustenance to a confined animal and Cruelty to an Animal (both misdemeanors), having an Inadequate Shelter, Unvaccinated and Unlicensed Dog. Blade was seized by the Ontario County Humane Society and remains in their care as the investigation continues. Authorities say Perez will appear in Farmington Town Court at a later date to answer the charges. The Ontario County Sheriff’s Office assisted in this investigation.